It's hard to get voters' attention in Texas politics. Sometimes, that's an advantage. Sometimes, it's a burden. They can go pretty far, as it turns out. Most people who register to vote don’t vote, after all, and many of the people who do cast ballots stick to their party lines. And to incumbents. This protects officeholders like Land Commissioner George P. Bush from the slings and arrows of outrageous predecessors like Jerry Patterson, who tried and failed to get the public (and the news media) to focus on an unfavorable audit of Bush’s management and financing operations at the Alamo before the March primaries. Bush ducked. Voters snoozed. Patterson lost. It also pushes candidates to reach further than they can grasp, as when U.S. Sen. Ted Cruz opened fire this week on his opponent’s mother’s former business. He swung at U.S. Rep. Beto O’Rourke, D-El Paso, for making campaign tax proposals even though his mother's business got in trouble for tax avoidance and paid big fines for doing so. That’s not exactly “ludicrous,” but the perpetrator wasn’t exactly Cruz’s opponent, either. It brought to mind a 2016 incident in which a presidential candidate went off on an opponent who attacked the candidate’s own family. That was Cruz himself, berating Donald Trump’s “ludicrous” allegation that Cruz’s father was tangled up with John F. Kennedy assassin Lee Harvey Oswald and a Trump tweet threatening to “spill the beans” about Cruz’s wife. “Leave Heidi the hell alone,” Cruz said at the time, though he later came around and endorsed Trump. 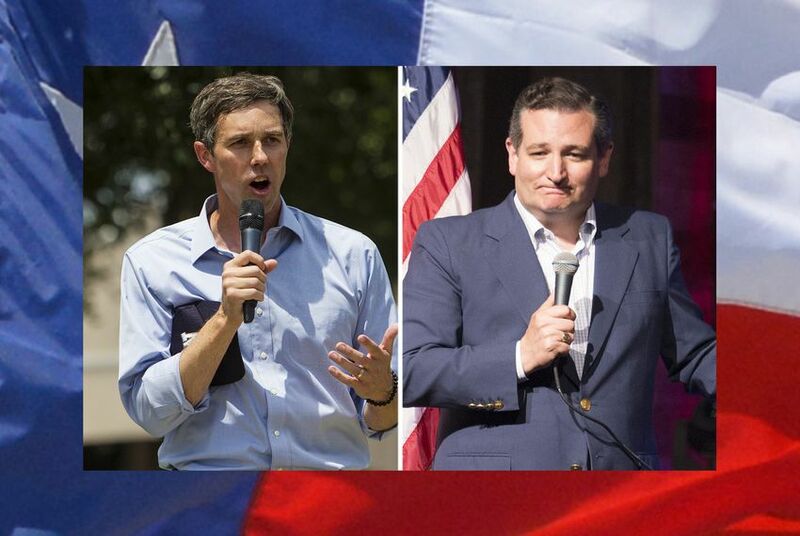 Cruz v. O’Rourke, the top race on the general election ballot in Texas, is really just getting started. Cruz, better known than his Democratic challenger, is trying to introduce O’Rourke in a negative way faster than O’Rourke can make a positive impression. That’s Politics 101, but voters are a harder sell than they used to be — if they’re paying attention at all. There’s pretty good evidence that most Texans are not engaged in politics right now. Some races just aren’t competitive this year. Blame (or credit) redistricting for some of that: Most of the seats in the state’s congressional delegation and in the state Senate and House are drawn to favor either the Republican or Democratic party’s candidates. Winning the right party primary in most places is enough to get into office. You’ve heard this bit before: Fewer than a handful of the state’s 36 U.S. House seats are up for grabs, practically speaking. Only one or two — three if you stretch — of the 16 state Senate seats on the ballot could change hands, and only a dozen or so seats in the 150-member Texas House are really in play. What that means during campaign season is that incumbents don’t have to spend a lot of time defending themselves. Even candidates whose real and perceived problems would’ve caused election nightmares in past cycles — indictments, bad audits, personal behavior issues and other scandals — don’t seem to be of much concern to voters. Put it down to information overload, to lack of trust in the sources of news, to voter disinterest or to the fact that Texans are starting their summers with other things on their minds. If you’ve got the president in your regular Twitter stream, or you’re getting a lot of your news from national sources, you know that he eats up a lot of bandwidth. For anyone watching the Trump Show, the time left to pay close attention to state and local elections is short. And the president has helped change the standards for outrage, making political building blocks out of the kind of material that used to be radioactive in politics. How many times have you wondered whether his latest words or actions might sink his ship? How many times did he sink someone else instead? If people are only going to believe media they agree with — that now-routine formulation of information/political tribes and their news diets — they’re only going to believe the revelations and explanations that come from their side. Examples are all around you, depending on your personal mediasphere — from George P. Bush and the Alamo to Beto O’Rourke’s mother’s tax misadventures. In the political world, that distrust is useful to candidates who can fend off bad information and news stories by attacking the messengers instead of answering for their own words and actions. This would be stunning if it weren’t so routine: 83 percent of the state’s registered voters skipped this year’s Democratic and Republican primaries, 70 percent skipped the primaries in 2016, 86 percent skipped in 2014 and 85 percent in 2012. More show up for the big-tent general elections: Only 40 percent of registered voters in Texas skipped the Trump-Clinton election in November 2016, roughly the same turnout as the 2012 presidential general election. Patterson and Cruz and dozens of candidates like them — challengers and incumbents from all of the political parties — are out there pitching, trying to get voters’ attention. So far, no cigar. Disclosure: Jerry Patterson has been a financial supporter of The Texas Tribune, a nonprofit, nonpartisan news organization that is funded in part by donations from members, foundations and corporate sponsors. Financial supporters play no role in the Tribune's journalism. Find a complete list of them here.